LOOKING FOR A PRIVATE ENCLAVE OF 16 SINGLE FAMILY HOMES? THIS IS IT! NORTH CENTRAL GEM WITH VERY TRANQUIL BACKYARD THAT FEELS LIKE THE COUNTRY. FRESHLY PAINTED INTERIOR. LIVING ROOM WITH GAS FIREPLACE. 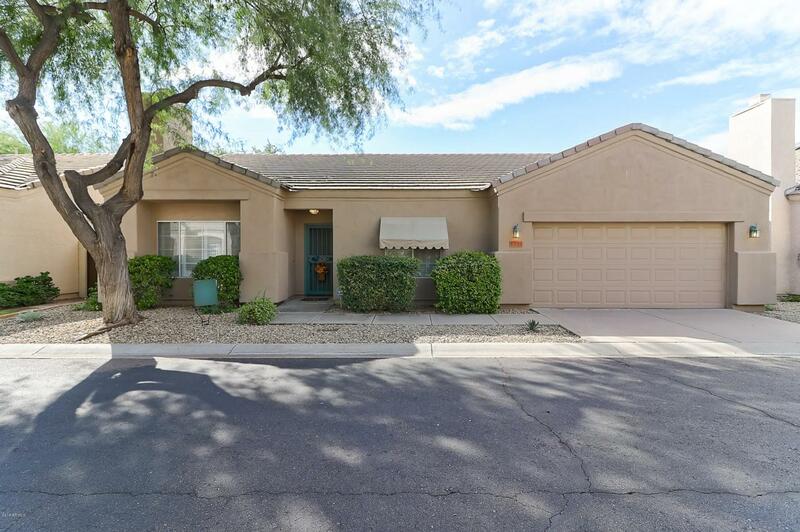 VAULTED CEILINGS THOUGHOUT, OPEN KITCHEN WITH BREAKFAST ISLAND, STAINLESS STEEL REFRIGERATOR, GAS STOVE, BUILT-IN MICROWAVE & LOTS OR COUNTER SPACE WITH CABINETS. DINING AREA OFF KITCHEN. MASTER SUITE WITH SEPARATE ENTRY/EXIT, BIG WALK IN CLOSET WITH BUILT-IN SHELVES. MASTER BATHROOM WITH SPA SEPARATE TUB, SHOWER AND PRIVATE TOILET. OVER SIZE BEDROOMS, BIG LINEN CLOSET. LARGE LAUNDRY ROOM WITH WASHER & GAS DRYER ALSO SET UP FOR ELECTRIC DRYER 220. TWO CAR GARAGE WITH DOOR OPENER.VERY PEACEFUL SEATING BACKYARD WITH VIEW OF THE HORSES. YOUR CLIENTS WILL LOVE IT! Builder Name Surety Builders Inc. Listing courtesy of Arizona Lifestyle Realty.